Explicit 330 - MARVEL - Superior Spider-Man - The Goblin War of Nations! IN LOVING MEMORY OF STAN LEE! We recorded this before his passing, however we dedicate this episode to him. 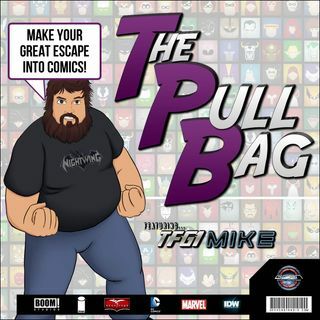 In Episode 330 of The Pull Bag Mike and JT return to the world of the Superior Spider-Man! We are finally covering the end of Marvel’s Superior Spider-Man. It’s all about THE GOBLIN WAR OF NATIONS! Jump inside The Pull Bag with us as we find out just what happens to Otto, Peter, and the rest of NYC!! As always Make Your Great Escape Into Comics!! !